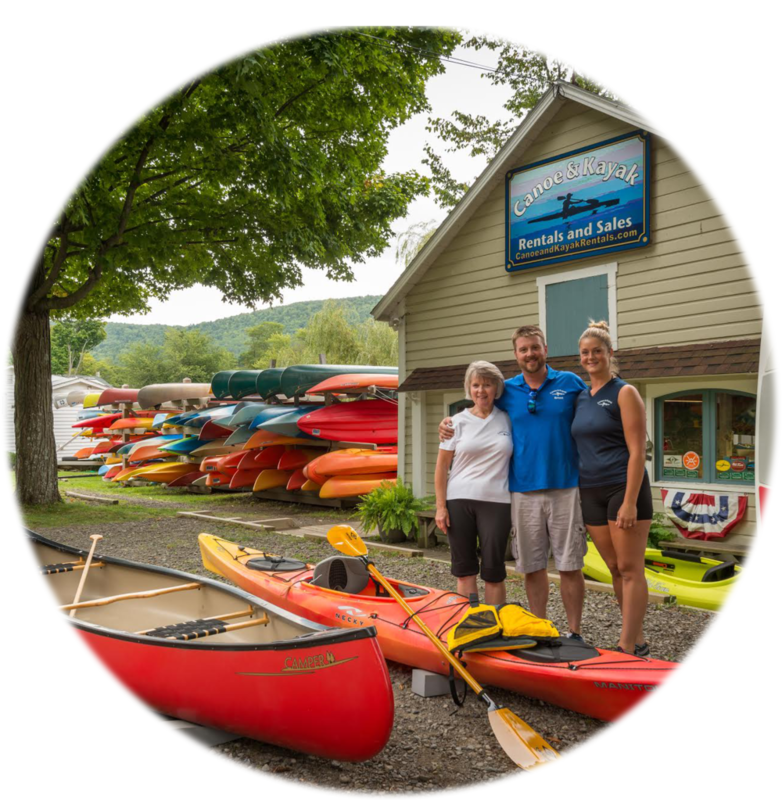 Canoe & Kayak Headquarters since 2009. A group having a blast on the river. Smiles for miles! Rates include Paddles and Life Jackets (PFDs)for all ages. Coolers and food may be taken on the boats but no alcohol is permitted. Each participant age 16 or older must sign our wavier of liability before using our boats. You must be 18 years of age to rent a boat , you are welcome to bring childeren of all ages. Reservations are accpected only for groups. Basic instruction available - FREE! 10 minutes south of Cooperstown Dreams Park, on the same road (route 28). Take a left turn out of the park, continue straight for 10 minutes until you see all the bright colored boats and our shop on the left hand side! 15 minutes north of Cooperstown All-Star Village. Take route I-88, exit 17 towards Cooperstown. Four minutes off exit 17, we are on the right hand side. These are additional items for rent. Paddles and Life jackets are included in the cost of a Canoe/Kayak/SUP rental. Happy customer with his first walleye. Full Service Rentals! We carry your boat to the water and help you get into and out of your boat. All rentals include life jacket and paddle. Extra life jackets & paddles available for rent. Groups welcome; group rates offered. NO rentals after 4:30 pm. Late renters (past 6:00 pm) who return to our dock, will be charged the full daily rate for rentals. Water Classification - slow moving flat water, perfect for first timers! All renters must fill out a liability wavier. Children (under 18) are welcome to paddle their own boat - we ask that they are accompanied on the water by an adult. Portlandville Rental Location: We are located on the Susquehanna River, just north of Goodyear Lake. Goodyear Lake: 2.5 miles long • average depth of 14 feet • max depth 30 feet • 366 acres • 9.2 miles of shoreline. Susequehanna River: 444 miles long in total, from our shop you can access up to 15 miles of the river. Due to the dam on Goodyear lake there is almost no current. Providing a unique paddling opportunity, you can paddle in either direction and return to our dock with ease. - Always wear your life jacket. - Please don't litter! Help keep our beautiful countryside clean. What to Bring: Dress for the weather! Helpful to have: sun screen, bug spray, towels snacks and drinks. If you forget anything, you can grab it at our shop. Wildlife: Watch for bald eagles, blue herons, ducks, egrets, song birds, beavers, fish and much more! Fishing: is great here! We have fishing poles for rent or sale. More questions? Click here or contact us.